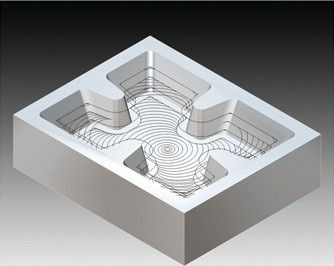 2.5-axis machining is a set of strategies for generation of slots, pockets, holes, horizontal areas, vertical walls, chamfers. 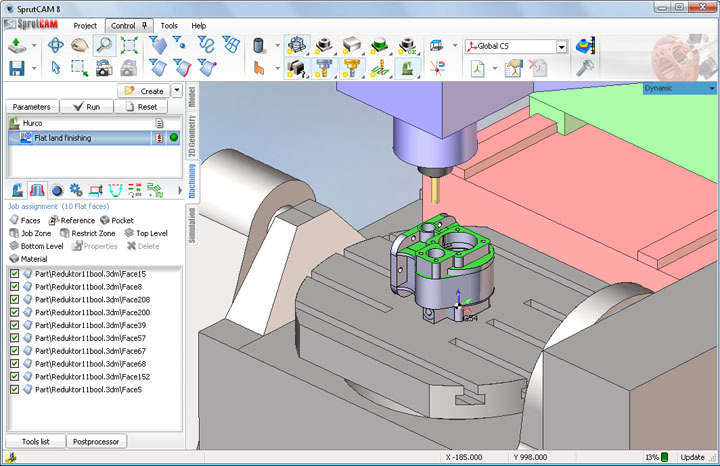 2.5-axis machining also comprises plotting of the path by some control closed and open curves, engraving of text and artistic elements on the flat areas. 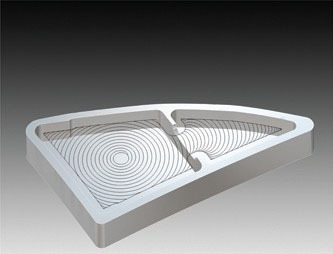 Special consideration should be given to the capability of SprutCAM system to create 3D graphic presentation of the part, taking a set of the closed curves as a basis. 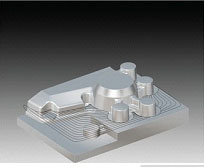 Having the drawing of the detail, constituting a set of high spots, low spots and holes, a technologist, having defined the type and the parameters for each element in the system, obtains the visual three-dimensional display of the part, which considerably simplifies the formation of the technological process of machining. 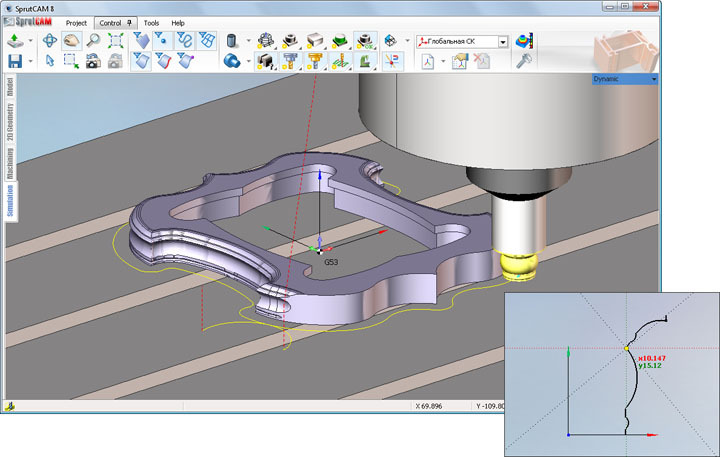 When the contour parameters are changed and corrected the system automatically reconfigures three-dimension display of the part. 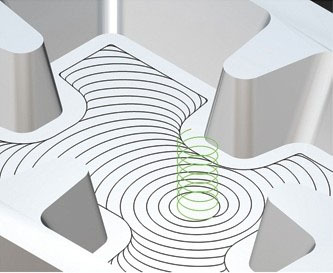 Automatic detection of horizontal areas makes possible to simplify the process of surface determination, for instance, for performing the final machining after the upstream operations, surface preparation for the subsequent engraving or locating. Pocket and separate island sampling may be performed by parallel cuts of the tool as well as by equidistant cuts. 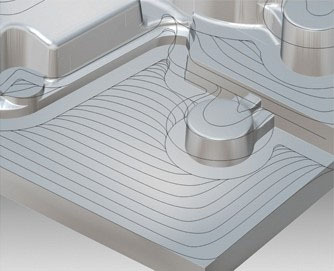 Capability of smoothing the path in the angles, radial cusp rolling and high-speed cutting-in function allow the use of the sampling operations for high-speed milling (Hi Speed Machining). 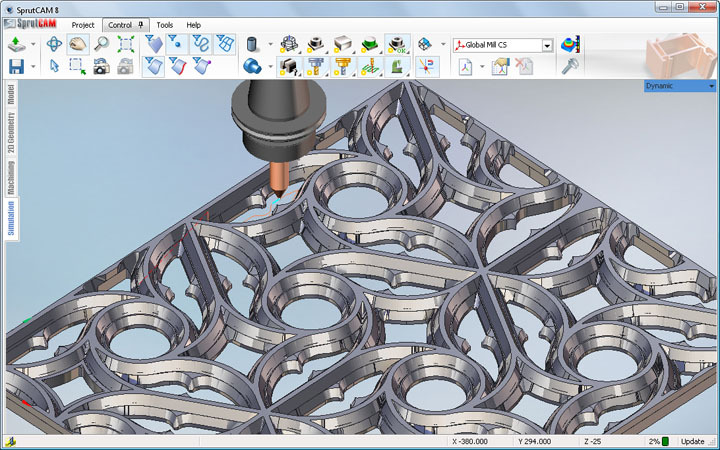 Embedded 2D geometry environment enables the technologist to form the part drawing independently, without using external CAD systems. During the drawing-forming process “smart bindings” system and a wide range of conversions will ease the technologist’s task. 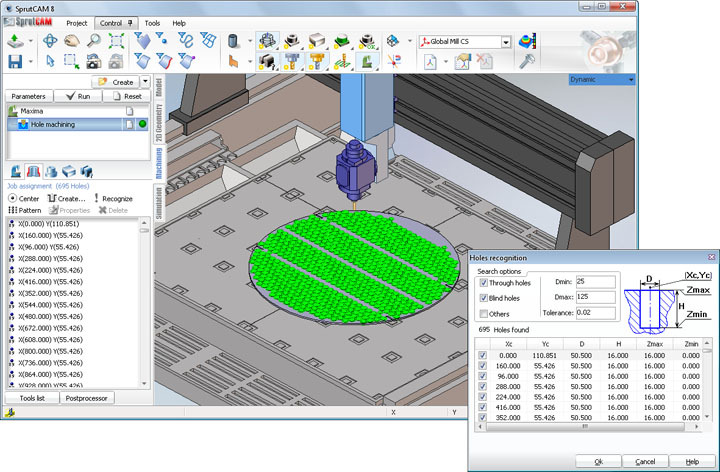 The same 2D geometry environment allows the tool profile generation with the capability of setting the parameters, enabling to interactively modify its configuration if used. 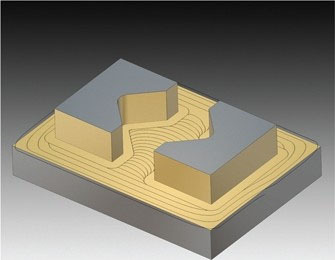 The system has the opportunity to create texts in the form of the set of curves, which further can be used, for example, for engraving on the flat areas of the part. Engraving operation itself is also used for obtaining the artistic elements and it gains widespread acceptance in wood working and jewelry industry. 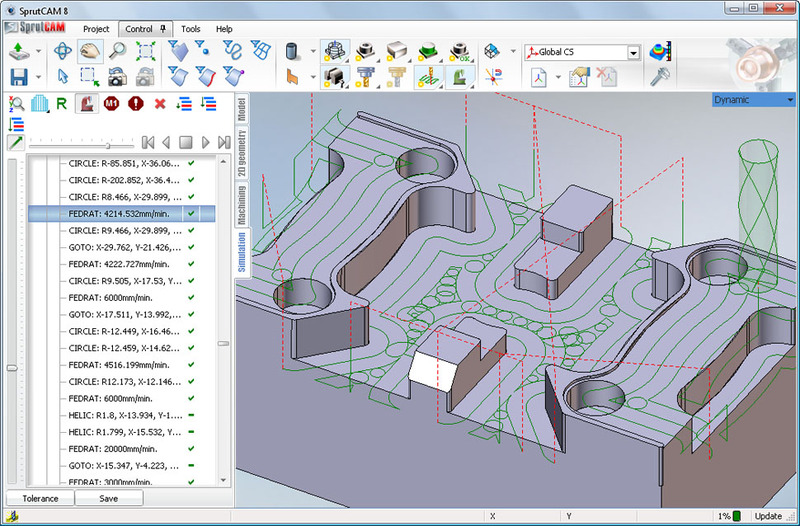 2D contouring operation offers the possibility to interactively form the approaches and the backward movements as well as the areas of correction turning off and on in the graphic window of the system without using operation parameter windows.